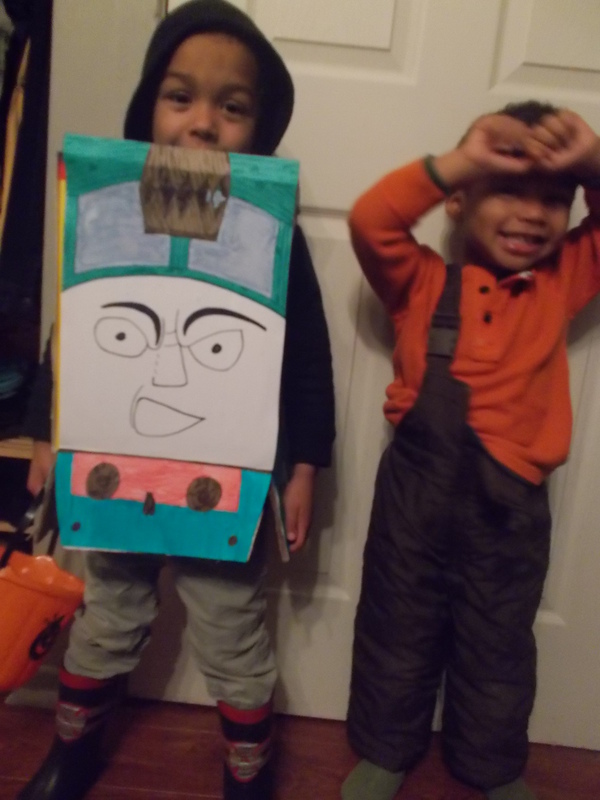 Little Tyke and Little J as Diesel 10 and Wreck it Ralph. I also want to wish good luck to anyone participating like me in National Novel-Writing Month as of midnight tonight. 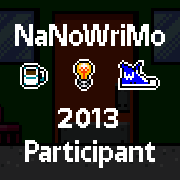 You can find more details about it at http://www.nanowrimo.org – lots of games, challenges, local meetups and write-ins, swag for your FB and Twitter etc. … you can participate as much or as little as you want, but ultimately at its core it’s the challenge of writing a 50,000 word novel in a month. It doesn’t have to be a work of high literature, or even that good – the point is to release your creativity, set down and WRITE. I have yet to ‘win’ – which everyone who reaches the 50k benchmark does – but it’s always a fun challenge for myself. And maybe this will be my year! 🙂 If you’re interested, it’s not too late – hustle on over and see if you can find me over there. I’d love to exchange moral support and war stories!